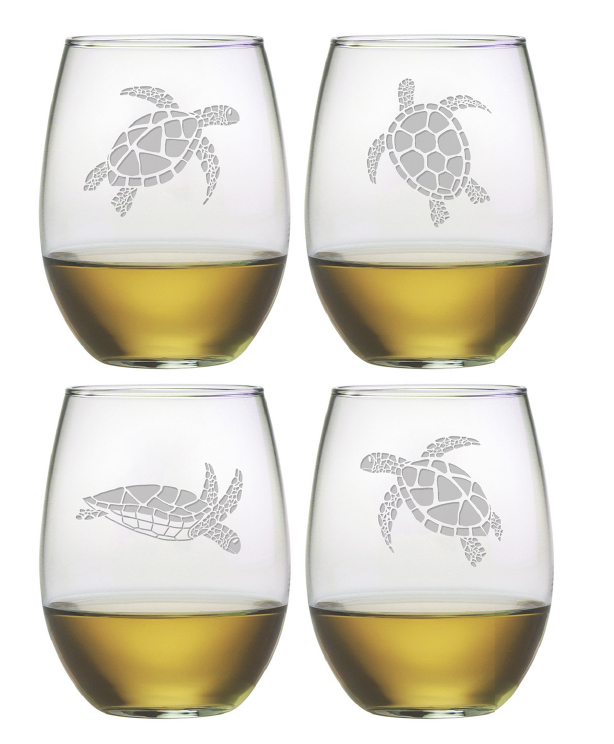 Happy hour at the beach is a cinch with our Sea Turtle Assortment of Stemless wine glasses. These coastal glasses hold 21 oz of your favorite vine. Sold in a set of 4.